Description: Excellent Condition! Faint cracking of sponsor & small black mark on ‘3’ logo. 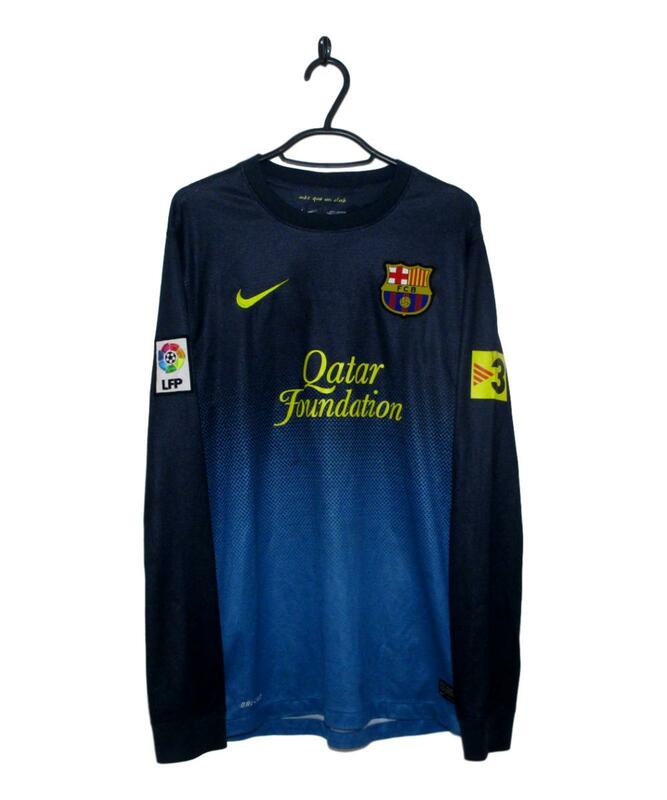 The 2012-13 Barcelona Goalkeeper Shirt made by Nike stars of navy then turns blue via a gradient effect. 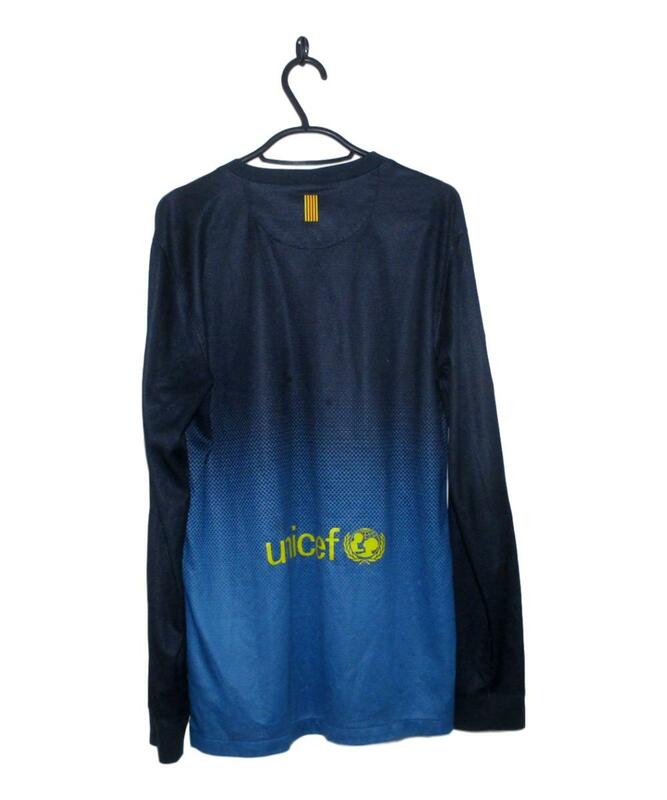 The sleeves remain coloured navy. 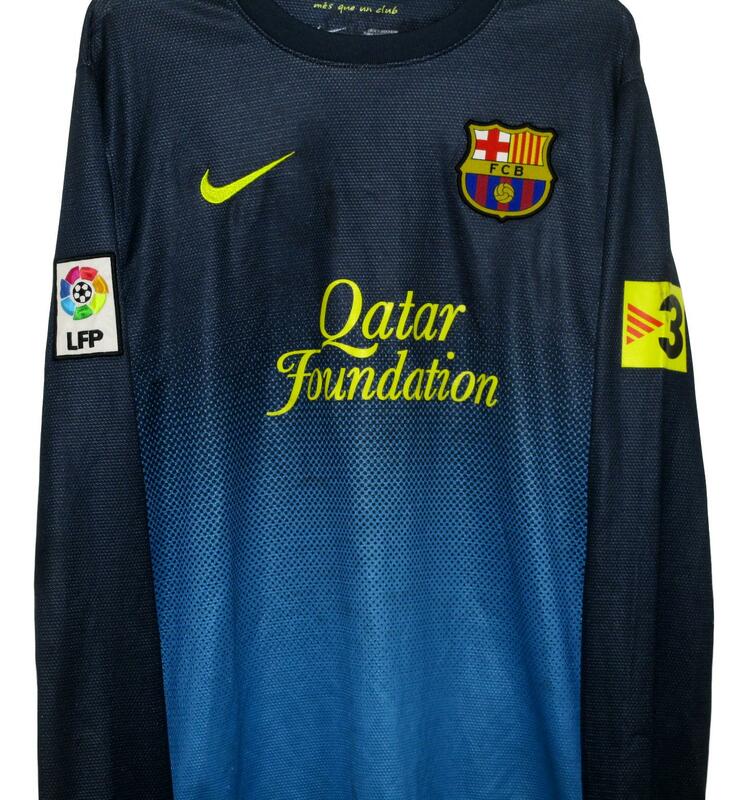 Both the Nike Swoosh on the right breast and the Qatar Airways shirt sponsor are coloured yellow. The FC Barcelona badge is placed on the left breast.